Mumbai, Sep 4 (IANS) Megastar Amitabh Bachchan has again welcomed Indian film producer-actor-writer Kamaal Rashid Khan, better known as KRK, on Twitter and says that he is irrepressible. "The irrepressible Kamaal Rashid Khan... Straight talking , without any frills is back! 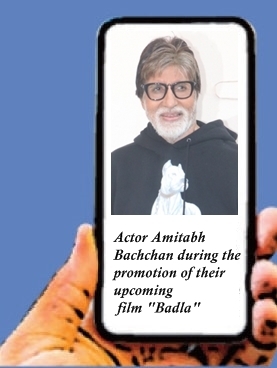 Fasten seat belts," Amitabh tweeted on Monday night. Last year Kamaal's Twitter account was suspended after he reportedly revealed the climax of Advait Chandan directorial "Secret Superstar". Things went awry when he openly criticised the movie followed by a personal attack on superstar Aamir Khan. In April, he had claimed that he is suffering from stage 3 stomach cancer and added that he will be alive for one to two years and that he won't entertain any sympathy calls.